The SNB-5000 is an ONVIF compliant 1.3 Megapixel box camera that incorporates Samsung’s WiseNet DSP chipset. This camera is capable of displaying multiple resolutions from CIF (320 x 240) through to 16:9 format 720p full HD and up to 1.3 megapixel (1280 x 1024). 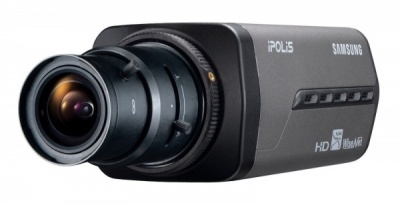 The SNB-5000 provides up to 10 video streams and offers H.264, MPEG-4, MJPEG. The SNB-5000 Series cameras feature video analytics such as virtual line, scene changes, object detection. Please Note: Lens is not included with the camera!